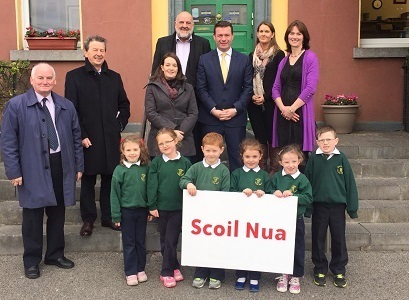 ‘I’m absolutely thrilled that confirmation has been secured from Minister for Education Joe McHugh that Gaelscoil Cluain Meala can go to tender stage. This will mean that in the coming months tenders will be drawn up and the work on the new school can commence this year. The work will take two years and will involve building on the site behind the school and then doing the work where the current building is. This is a truly fantastic day, one which I’ve worked on for over four years. I’m want to thank all those who have worked closely with me on this in particular the Chair of the Board of Management Sean Carey and Principal Karen Mhic Gearailt’.